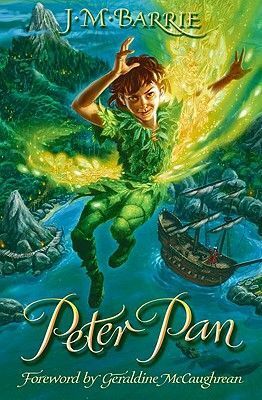 The night that Peter Pan flies into the Darling children's nursery is the night that magic flies into their lives. It's the night that Wendy and her brothers follow Peter out of the window and soar through the sky to Neverland. They discover a world of mermaids, fairies, and pirates, of lost boys, and of Captain Hook. The night that Peter Pan flies into the Darling children's nursery is the night that magic flies into their lives. It's the night that Wendy and her brothers follow Peter out of the window and soar through the sky to Neverland. It's the night that they discover a world of mermaids, fairies, and pirates, of lost boys, and of the terrible Captain Hook. It's the night the adventure begins...Peter Pan is one of the best-loved stories ever written for children. For more than one hundred years this unforgettable tale has enchanted readers of all ages. Step into Neverland with this magical, timeless classic.